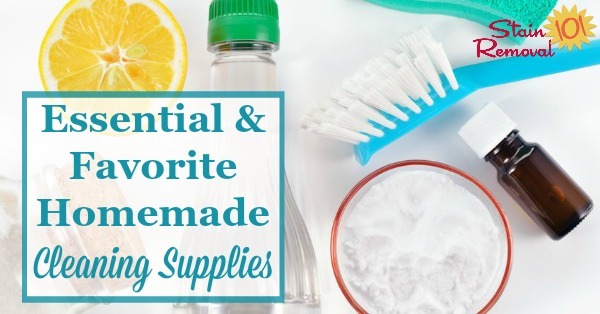 Here is a round up of some of the essential and favorite home made cleaning supplies, including ingredients and equipment, you may need for making homemade cleaning products. However, when you are new to making your own products you can feel a bit nervous about which recipes and uses will actually work or not, and even what equipment and supplies you will need. This is your chance to share your knowledge saying what ingredients and equipment you can't live without, or get some tips of your own to make sure you get the best results possible. 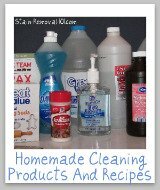 I have a list of what I believe to be the essential homemade cleaning supplies you need for your home if you want to make a lot of homemade cleaning products. This list includes both common ingredients, and also equipment. Of course, there are always more ingredients that you can use than what I have listed, and more equipment. 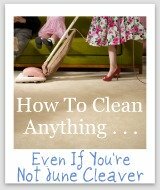 In addition, you may have found a specific type of equipment that you find really useful, and you want to recommend it to others wishing to make homemade cleaners of their own. Whatever your thoughts on the subject, I would love to hear them, and so would everyone else. Skip down here to tell me your favorites and I'll add them to the page. 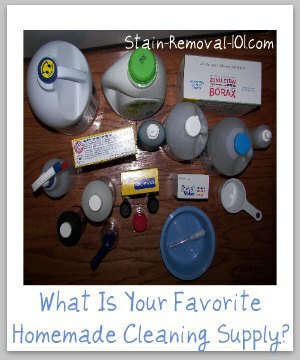 What Is Your Favorite Home Made Cleaning Supply? 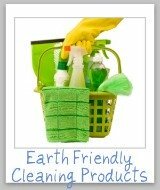 Do you have a favorite ingredient for many of your homemade cleaning products that you just have to have? 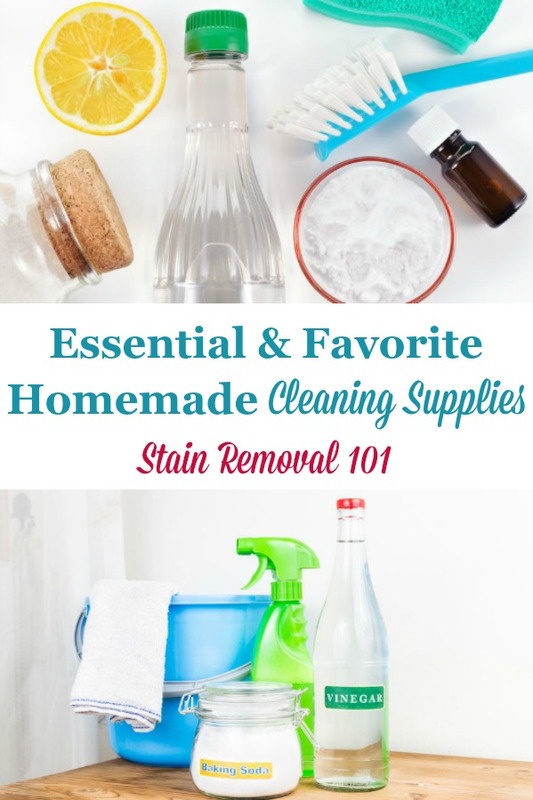 Or do you really love a particular piece of equipment you use to make your homemade cleaners, such as a specific type of spray bottle or other such items? If so, please share your favorites with us below. 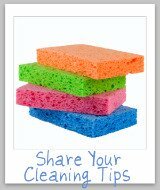 Click the links below to see favorite home made cleaning supplies already been submitted by others. Feel free to comment on any of these submissions to tell us if you like the same things, or about any other thoughts you have.